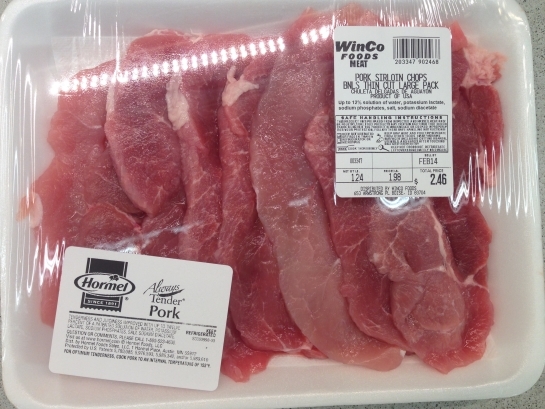 So the main brand Winco carries for ALL their Pork products IS “Always Tender Pork.” As you can see on the left hand corner of each of the packages above. That means that basically any cut of pork you want you can use this coupon. I printed out 2 of the coupons, and bought 2 different cuts. I was going for cheapest, so I purposely bought the closest to $1 as I could, as to keep by OOP as low as possible. My store did not have any $1.75-$2 packages today, but many stores do, so you truly can get the meat for CHEAP! 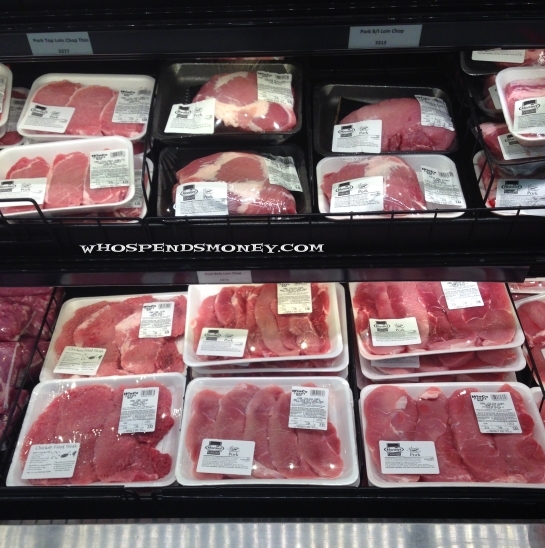 There are many types of Pork that are on sale this week, so if you had the time, you can have the butcher break the packages down closer to the $1 mark for SUPER Cheap pork! I haven’t heard about printing coupons by my phone number. your fortunate! i thought everyone was forced now to the phone number system. you can no longer print 2 per computer. you can print 2 per confirmed phone number. so if you have tons of phone numbers, your good. but if you dont….hehe I have collected tons of garage sale computers over the years for $5, so i used to be able to print 2 coupons per computer. But i only have 2 phone numbers in my house, so that means regardless of how many computers i have, I can print 4 coupons, period. (2 per phone number).